A. Your credit card or bank statement will show a purchase from ClickBank or CLKBANK*COM. 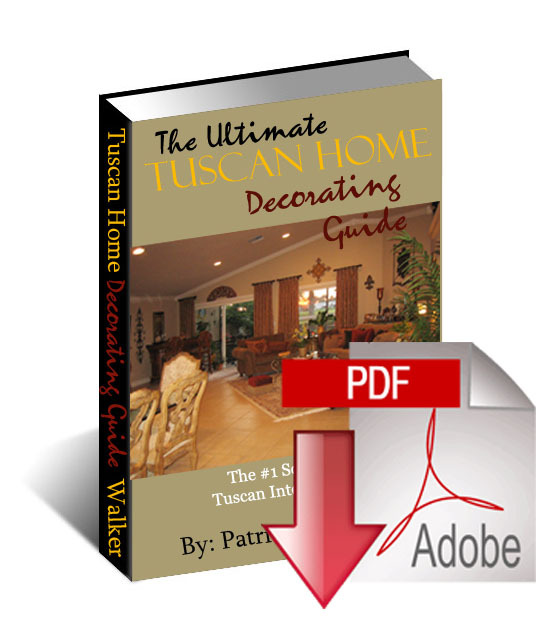 **To download The Ultimate Tuscan Home Decorating Guide, you will need a username and password. Instructions for gaining access to The Tuscan Home 101 members area will be emailed to you. The members area is where you will be able to access the Tuscan Guide download, the online chapter reading version of the guide and the bonus GOLD level membership. **You will need to confirm within this particular email to begin receiving instant notification of all Ultimate Tuscan Home Decorating Guide unlimited upgrades and bonuses. Check Your Email for Your Unique Username and Password to Access the Tuscan Home 101 Members Area for Product Retrieval.